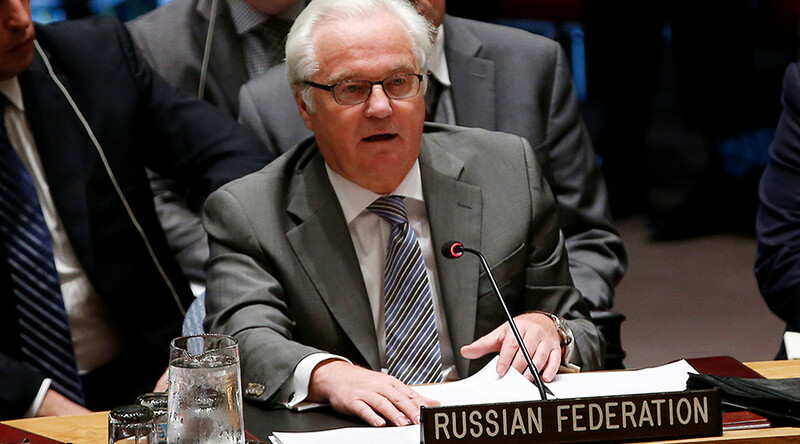 Russia is deeply concerned with Kiev’s clear unwillingness – which has tacit US approval – to implement the Minsk agreements or even engage in dialogue with representatives of the rebellious regions, Russia’s envoy to the UN told the Security Council. “We are concerned with the fact that the tensions [in eastern Ukraine] were increasing again in the last month. And this information is confirmed by OSCE [Organization for Security and Cooperation in Europe] monitors,” Vitaly Churkin said on Friday during the UNSC meeting on the Ukrainian crisis. While the military side of the Minsk agreements is more or less being observed, Kiev still refuses any direct political dialog with the self-proclaimed republics’ authorities, declining to coordinate any actions with them, even though it is envisaged by the Minsk agreements, Churkin emphasized. “Compromise is something Kiev clearly does not want,” Chrukin stressed in his speech. At the same time, the Ukrainian government still sticks to belligerent rhetoric and continues its military preparations, he said. Kiev deliberately “sabotages” the Ukrainian peace process by military provocations thus diverting the attention of the international community in order to conceal the faults of its own policy, Vitaly Churkin said in his statement at the UNSC. The Russian UN envoy stressed that some 70 percent of ceasefire violations are taking place in the Donetsk region due to the faults of the Ukrainian side; the villages of Gorlovka, Zhabichevo, Spartak were shelled from territories controlled by the Ukrainian army. Kiev was not only openly building up its forces in the eastern Ukraine, without even disguising the deployment of heavy equipment in the region, but also “willfully and in defiance of the existing agreements seized seven neutral settlements in the buffer zone,” Churkin said. Russia’s envoy denounced these actions of the Ukrainian authorities as provocations and called for immediate withdrawal of the Ukrainian troops from the neutral settlements. 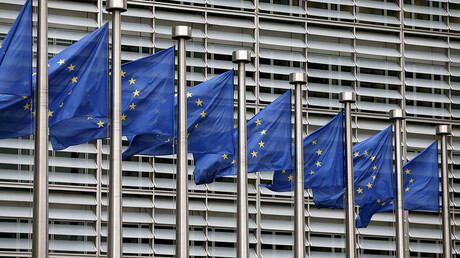 Apart from military provocations, Ukrainian authorities continue the economic blockade of the eastern regions of the country depriving the local residents of “quality medical care as well as access to the fresh water and basic services” – which is another direct violation of the Minsk agreements. Kiev authorities also block shipments of food and basic necessities to the regions, Churkin added. He also recalled that the Ukrainian government still refuses to pay social benefits to the Ukrainian citizens living in the eastern regions of the country. The Russian UN envoy also paid attention to the fact that, in the run up to the winter season, energy supplies in eastern Ukraine are still unstable and the water supply system needs repairs as its 300-kilometer section which supplies more than 400,000 people has been damaged in shelling. Vitaly Churkin stressed that Ukrainian government has still done nothing to implement its part of the Minsk agreements as eastern Ukrainian regions have not still been granted special status, no election reform as well as no constitution reform have been carried out and no local elections have been properly organized. Russian envoy also criticized the UN Security Council meetings on Ukrainian crisis as being of mostly “polemical” and populist nature – while the only tangible clear result of those years of discussions was the resolution 2202 which in February 2015 endorsed the roadmap signed in Minsk. “Ten months down the road, we believe it is logical and appropriate to discuss if there is any progress and if not then why not,” Churkin stressed. Churkin pointed out that the UN Assistant Secretary-General for Human Rights Ivan Simonovic’s briefing only defocused the council’s attention. Churkin argued that Simonovic’s briefing on fresh allegations human rights abuses by both sides of the Ukraine conflict are indeed worrying but rather belonged in Geneva at the Human Rights Council. 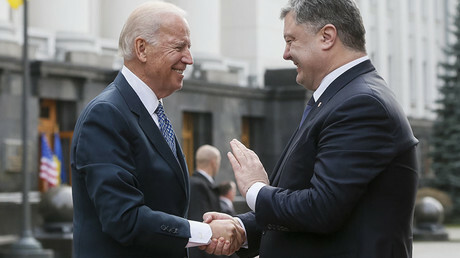 “[Biden] knew that Russia can neither amend the Ukrainian constitution or the elections law, nor declare an amnesty. It is puzzling that he did not use the opportunity to direct his calls to the right addressees – the Ukrainian lawmakers and the president of Ukraine,” Churkin said. Such Washington’s “connivance”, he added, has nothing to do with the interests of Ukrainian people and everything with the of the United States.